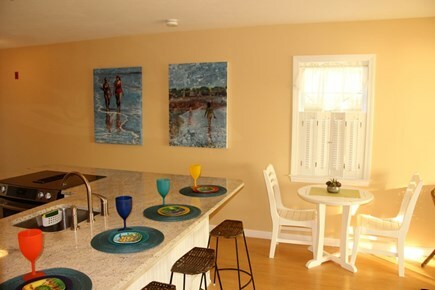 Truro Beachfront Luxury. 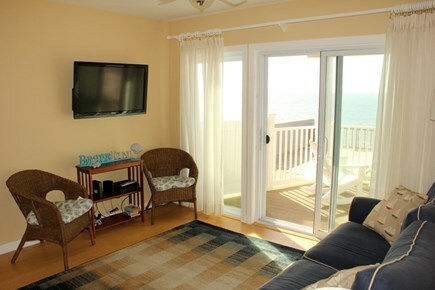 2019 weeks still available! 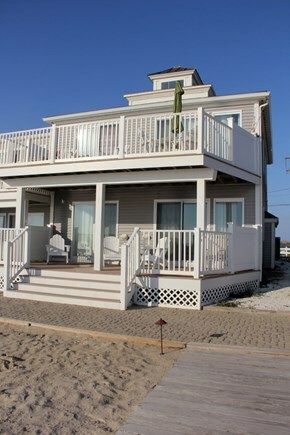 Built in 2009 right on the beach! Comfortable fold out sofa (Queen size) Perfect for teenagers. 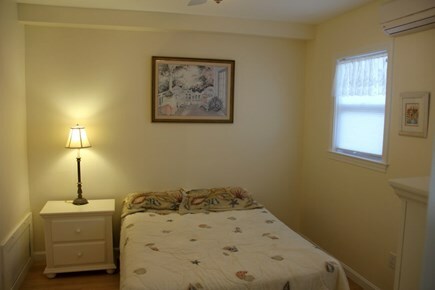 Waterside bedroom with queen bed and views! 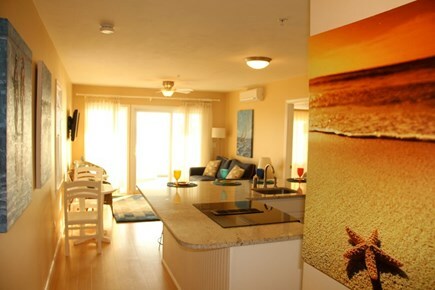 Stunning luxury waterfront condominium. 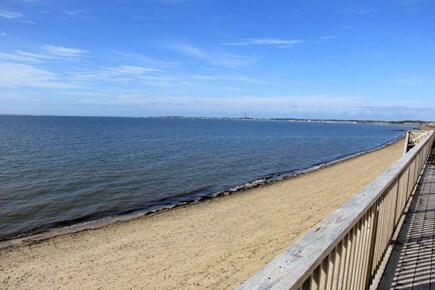 Daytime, enjoy the waters of of Cape Cod Bay from your beach blanket. 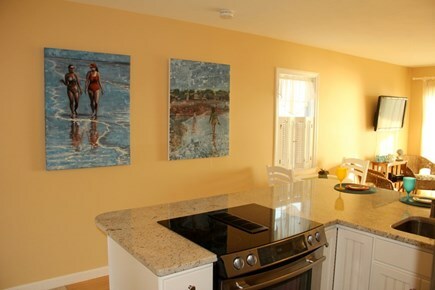 Night-time, take a short drive or the shuttle down scenic Shore Road and arrive at historic Provincetown's main street for dining, shopping and nightlife. 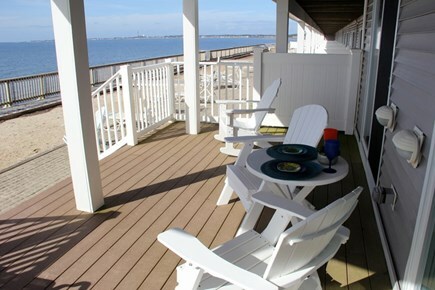 This Waterfront on Cape Cod bay Condo features a private covered porch on the waterside and sandy beach. 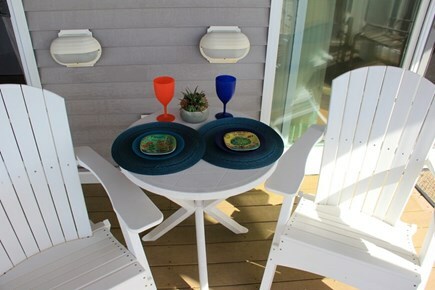 Just minutes to miles of dunes on the ocean side, too with walking trails and bike trails. 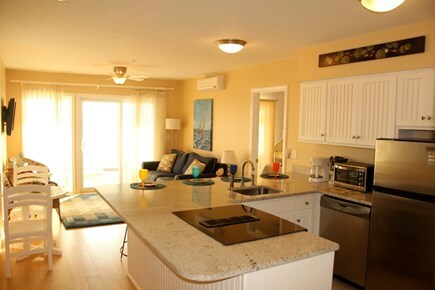 Come relax in the Gourmet kitchen with a huge granite breakfast bar and all the amenities, adjacent living room with sliders to the deck and incredible views of Cape Cod Bay and the beach! 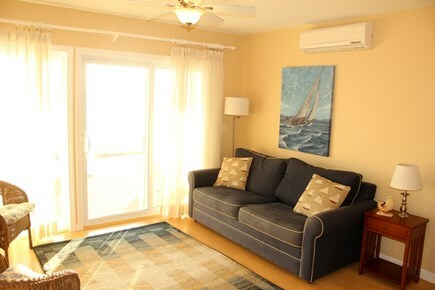 Featuring two bedrooms, Waterside Queen with a slider to the private deck, 2nd Queen bedroom with a full bath, plus a 1/2 bath, a queen sleep sofa in the living room. 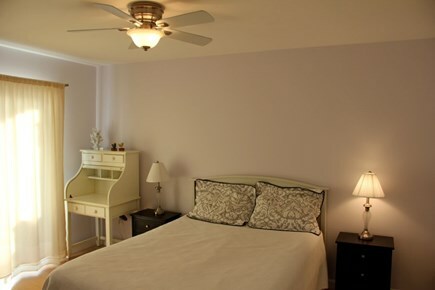 Flat-screen TVs, Air conditioning, washer dryer and free WiFi & cable included. 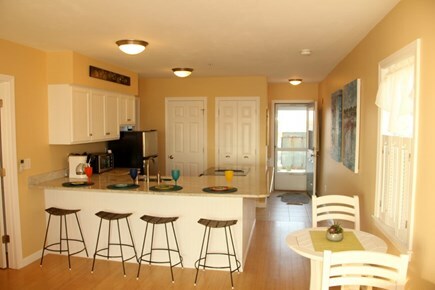 Additional pricing info: Tenant pays $150 cleaning fee and $50 processing fee per stay. 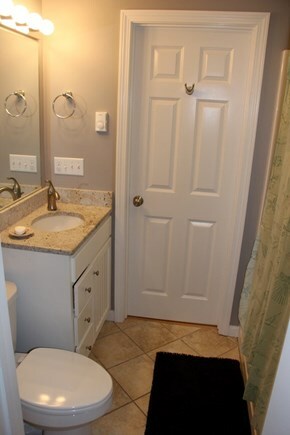 $200 refundable security deposit. State and local taxes of 12.45% will apply.